CNYO is pleased to join a whole host of other astronomy clubs, companies, and other organizations as we take an afternoon off to appreciate our nearest star. The inaugural International Sun-Day, held on June 22nd of this year, is a chance for amateur astronomers the world over to follow in the footsteps of Stephen Ramsden, who has brought amazing views of (and no small amount of information about) the Sun to many, many thousands of students and adults as the founder of the Charlie Bates Solar Astronomy Project. Those who might be members of his Facebook page (or a Facebook friend) know the frantic, globetrotting schedule Stephen keeps as he does for Solar Astronomy what John Dobson did for Sidewalk Astronomy. The phrase means “Conquering Darkness Through Science”. It is the essence of the Charlie Bates Solar Astronomy Project and all of the groups below who have partnered together to bring you this event. The Sun and its composition, energy producing mechanisms and relationship with our little rocky planet is, by far, the most important influence in the Universe on our daily lives as human beings. It’s never ending, natural, clean production of and subsequent bathing of our planet in life sustaining radiance is directly responsible for the continued existence of every living thing on this world, yet most people on Earth take it completely for granted and rarely ever learn anything about it. The world of social media has brought together people from all over the world, regardless of nationalist, political or religious affiliation, who share a common passion for astronomy. These dedicated people are especially tuned into the natural beauty of the world around us so we thought it would be a great idea to try and get everyone on our various internet portals to plan for one day out of the year to recognize and share their vision of the immense power and subtle beauty of the Sun. Then share it with the general public on a common page to inspire more science in the community!! International Sun-Day 2014 will be held on the Sunday nearest to the summer solstice. It is a day where we are encouraging all users of social media to share what they love about our star. You can go out in to your communities and share it through traditional outreach methods, give us your thoughts and images of a beautiful sunrise or sunset, share a poem or story about the Sun, take a funny picture of what the Sun means to you or how you like to relate to it, basically any creative way you can come up with to share your view of the Sun on social media. No advertisers, no sponsors, no fees, nothing for sale, no donations, just pure science for science’s sake and appreciation for the beauty of nature. Please join us on June 22nd, 2014 for International Sun-day. The process is simple! CNYO members will be set up from 2 to 4 p.m. on Sunday, June 22nd at our favorite downtown location – right next to Walt The Loch West Monster near the southern end of the Onondaga Creekwalk. 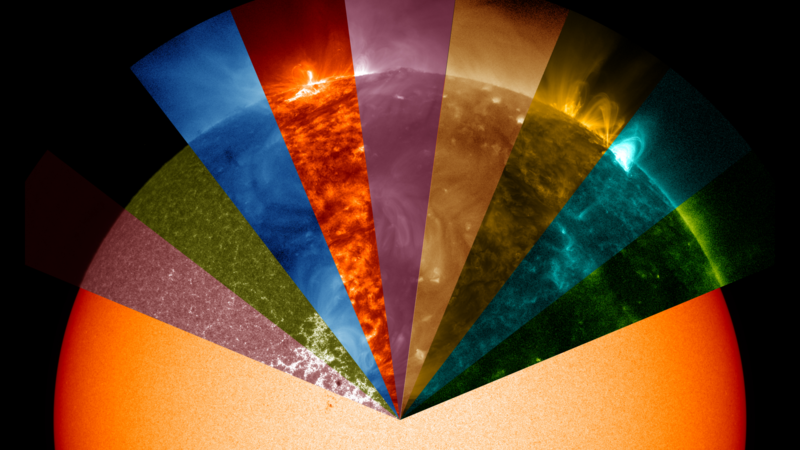 With Baader, H-alpha, and whatever-else-shows-up scopes in tow (and copies of our Solar Observing Guide), we invite you to come and take in what has been, until recently, an unfortunately rare, direct glimpse of the Sun. Just as nighttime astronomy underwent a great transition with the production of affordable and portable telescopes in the later-half of the 20th century, the equipment needed for Solar Astronomy is becoming more prominent and less expensive, hopefully ushering in a new era of special solar attention and study. Perhaps the 2nd Annual Sun-Day will have us moving to a larger venue! Stay tuned to cnyo.org for weather updates as we approach next weekend.